So I am the first guest blogger for bakesomebodyhappy. The best part is Erin has no idea I am doing this. I hope she forgives me when she gets her tart and reads her blog. Erin is quite possibly the sweetest woman I have ever met. Who else bakes pies for their friends and family and then follows it up with what is essentially a love letter. Besides being a great writer and pie baker, she is also an amazing mother, and wife. Our family has always been her #1 priority and the results speak for themselves. We have two of the sweetest boys I have ever met, yes I am biased. She also has a husband (me) that is madly in love with her. The boys and I are so lucky to have her in our lives. Behind every good man is a better woman, I owe my professional, relational and spiritual success to Erin. She is always pushing me to be a better person, work extra hard at school, have a beer with a friend in need, and to serve at church. I know without her I was lost and with her I am found. She deserves more than I can offer, so the least I can do is bake her happy today. Having already received two pies from my beautiful wife, I thought I would try and surprise her with a pie of my own. The problem is she has gotten so good at making pies I was a little intimidated. There was no way I was going to attempt a pie dough. I decided to take the easy way out and opt for a tart with a crumble crust instead. This way we wouldn’t have to compare her masterpieces to my humble tart. Picking the ingredients for the tart were simple, quite literally. 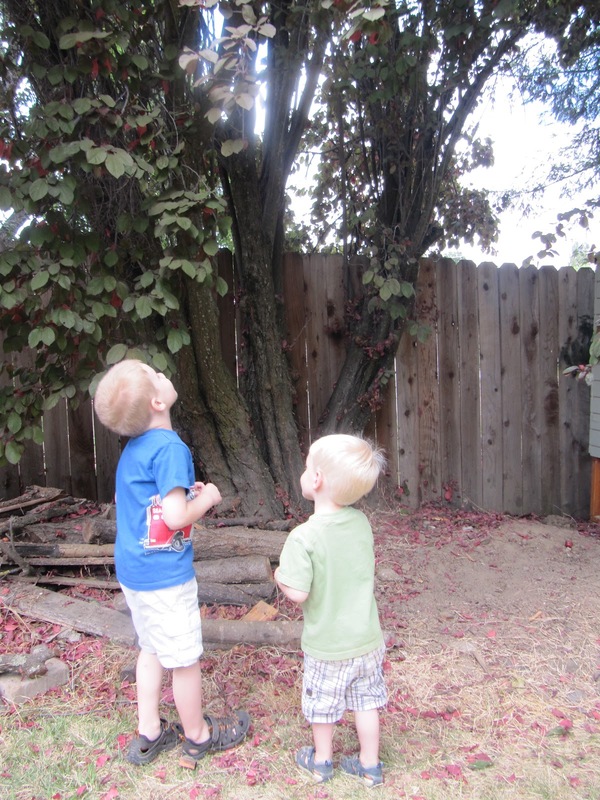 I asked the boys to pull some of the plums off our purple leaf plum tree in the back yard. 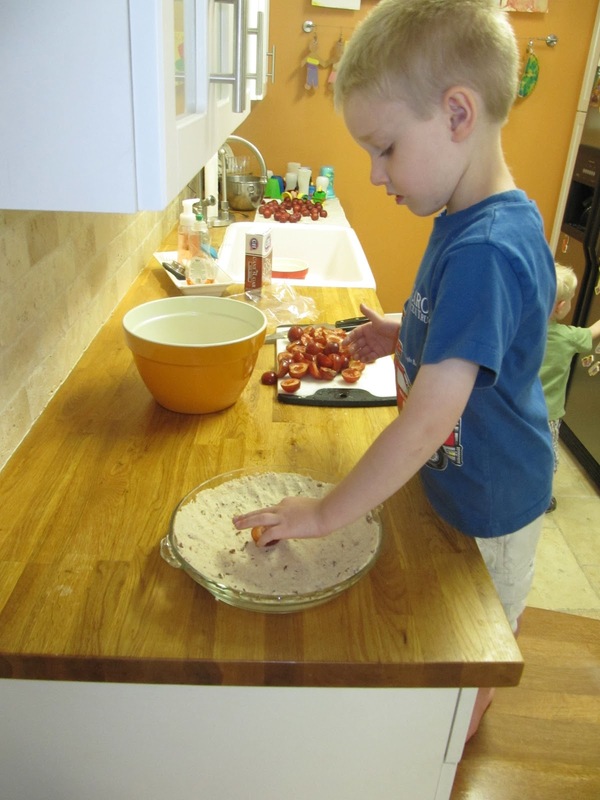 Everything else required for the tart was on hand in the fridge or pantry. Wilson lent his helping hand in prepping the tart as well. 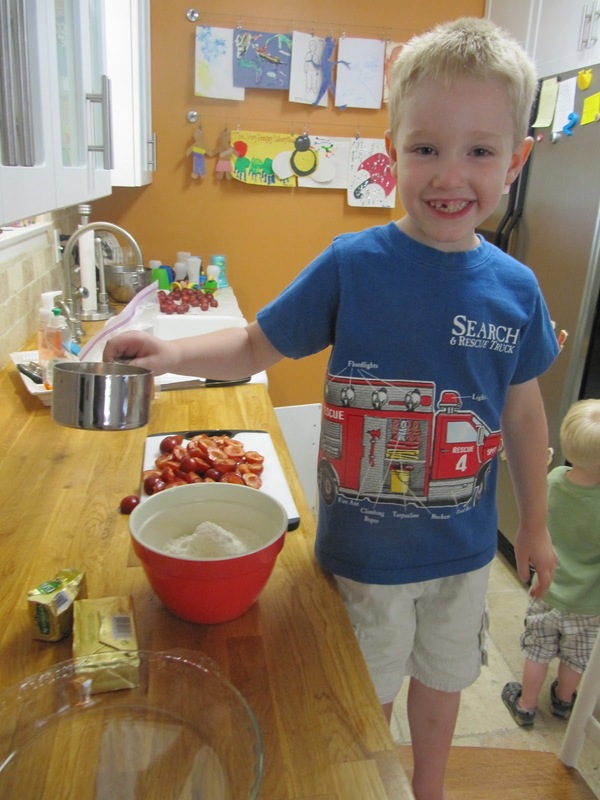 He helped me mix the pecans, flour, butter, egg yolk and brown sugar for the crumble crust. We pressed half of the crumble crust into the baking dish making a bed for the plums to sit on. 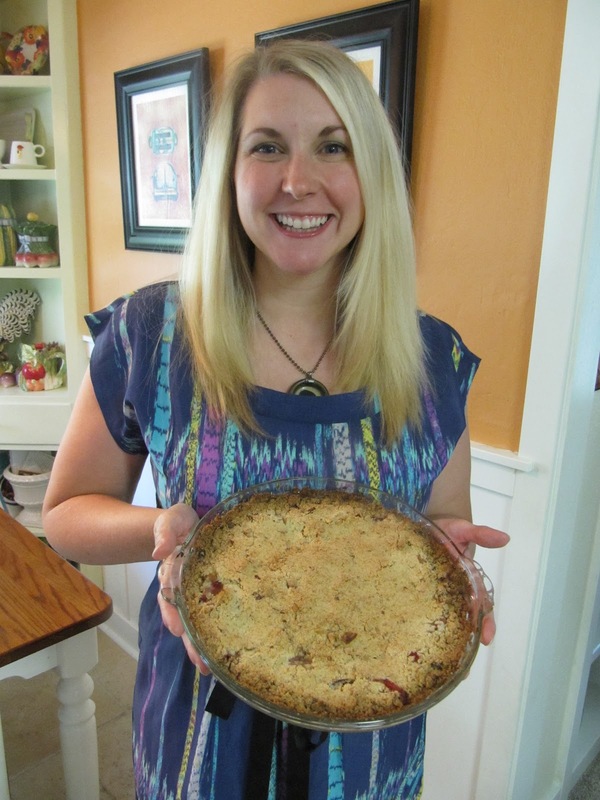 Then we arraigned as many of the plums as we could on top of the crust and covered it with the remaining crumble. Then into the oven for what seemed like an eternity, I really didn’t want to burn this one. I was strangely proud removing the tart from the oven. It actually looked kind of good. There is something beautiful about someone who is comfortable in their own skin. Erin doesn’t pretend to be something she is not, she doesn’t put on errs. She actually is as sweet as her pies. I hope she continues to bless those around her with her delicious pies, and make us all better people for having received one. "If heaven above lets fall a plum, open your mouth." Never in a million years did I expect to come home from a day of shopping to a pie made just for me! The pie that you and the boys made - and even more importantly, the blog that went along with it - were the most beautiful thing anyone has ever done for me. I am truly the luckiest woman on earth to get to share my life with you. Thank you for the beautiful gift! I will treasure this post always.